In its tenth year of service, Pookie’s Thai is hardly a secret. Still, the little Thai restaurant has always felt tucked away, found, if you know where to look, at the end unit of a mini mall alleyway just west of Woodroffe. The awkward location – Unit 7 at 2280 Carling Avenue – was traditionally something of a restaurant killer. My earliest memories are of an eastern European restaurant in that space. Then it was the home, for a short time, of the long running Lebanese restaurant Kamals. After that, the (very good) Indian restaurant Cumin and Goan fed us some fiery stuff. Pookie’s arrived in 2008, and it’s managed – hurrah! – to hang on for nine years. 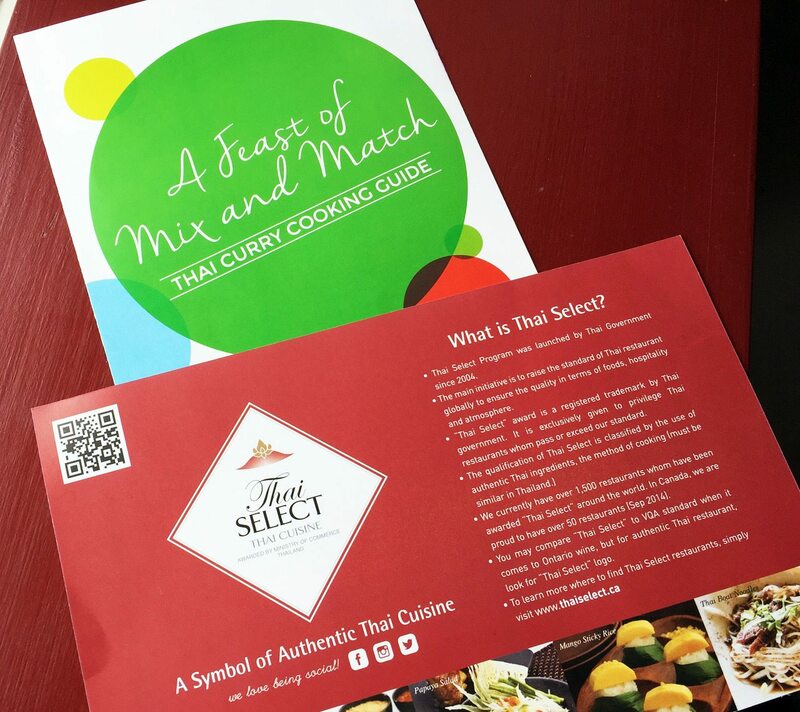 At my last visit, the bill was tucked into a pamphlet called “A Feast of Mix and Match, the Thai Curry Cooking Guide” along with a couple of recipes published by a Thai-based organization called Thai Select. Pookie’s is a new selection for this new-ish group. Its mandate, I gather, is to identify, through on-site surprise visits, Thai restaurants around the world that offer “authentic Thai foods” on their menus and kitchens that use the same or similar cooking methods and ingredients as in Thailand. I suppose it’s an attempt to regulate, through encouragement and incentive, the standards of the cuisine, and to discourage imitation. Sort of like Prosecco or Parmigiano or Champagne. And for someone who’s eaten plenty of ‘Thai curries,’ which amount to rubber shrimp in a goo of curry paste, tomato paste and a can of coconut milk of dubious quality, I can get behind the philosophy of Thai Select. In any event, Pookie’s curries are complex things, the meat within tender. Its salads, yum, are properly sour, balanced and bird’s eye-ed. Its chicken saté (4 skewers) with house peanut sauce (the meat dredged in crunchy shallots and a chiffonade of lime leaves before hitting the grill) may be the most fragrant and tender in the city. A coconut milk-rich beef and spud curry topped with scrunches of shallot, had a sauce nubbly with peanuts, its chili heat gentle. A take-out mango salad with basil, chilies, a fruit bowl’s worth of limes, and lightly battered tilapia got me through another night of snow shovelling in March. And if there’s a month more deserving of lime leaves and lemongrass, I don’t know it.